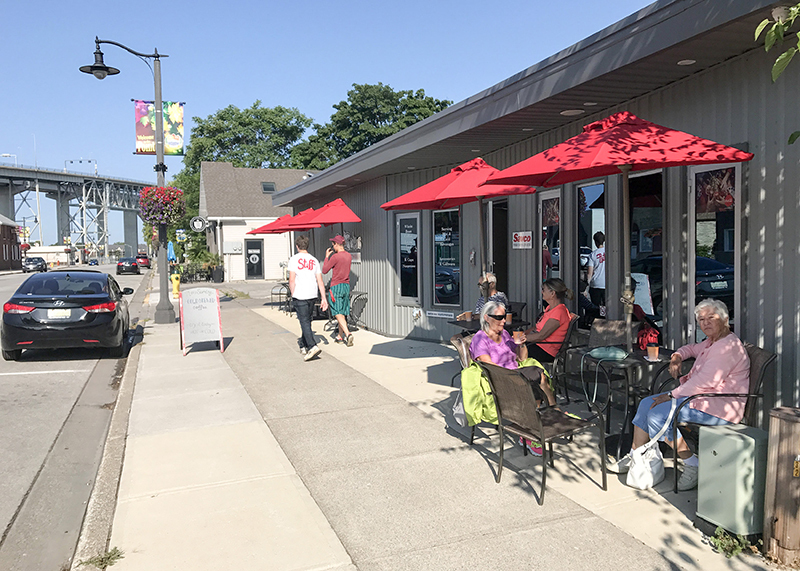 Businessman and lifelong village resident Stephen Jay has big plans to revitalize Point Edward’s commercial strip on Michigan Avenue. “People are saying they want choice and they want quality products. We hope to bring a lot more retail to that area,” says Jay, who owns several lots on the south side of Michigan near Monk Street. He and wife Heather operated Wilson’s Hardware there for 35 years before moving the store to larger premises on Colborne Road in Sarnia. When Wilson’s moved in 2012, Jay leased his Michigan Avenue building to two tenants, including Indigo Hair Works. Now he’s started construction on a new 2,700-square-foot single-storey commercial building on the lot next door. It will accommodate one or two commercial units and be the first of four phases for what Jay calls a walking mall. The walls are going up this week and Jay said there’s already interest in leasing the new space. He hopes to have the building ready by December. The next phase is scheduled for next year on a corner lot that’s been empty for decades. It will attach to Phase One and offer commercial space to two more retailers. A walkway built behind the two buildings will provide pedestrian access to the first two phases as well as two more buildings planned to the south. In total, Jay anticipates the new walking mall will provide 13,000 square feet of new retail space. Across the street, Dan Stewart opened BrewBakers Coffee and Tea Company at 132 Michigan Ave. a year ago and says customer traffic is good. Stewart has operated SAVCO in the same building for the past 35 years, catering to the corporate market with food services, water coolers and hot beverages. “We know coffee really well so this store was a natural for us,” Stewart said. BrewBakers is increasingly busy. What surprises Stewart is that people from around the world visit Point Edward and often stop in for a coffee. Down the street, the former Balmoral Hotel sits sadly empty since closing in 2010. Owner John Leppington said he has made some minor roof repairs but nothing more to the historic building that dates to 1865. Leppington doesn’t have plans yet and doesn’t want to speculate on the potential uses for the building. “I’m not sure what will go in there,” he said. Nearby is one of the properties best positioned for development — the lot where the old Bridge Tavern came down last year. The land sits empty, waiting for February when the municipality can put it up for sale. Point Edward is owed at least three years of back taxes for the property. Got an interesting business story? 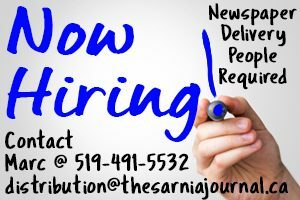 Contact Cathy Dobson at cathy.dobson@thesarniajournal.ca or 226-932-0985.